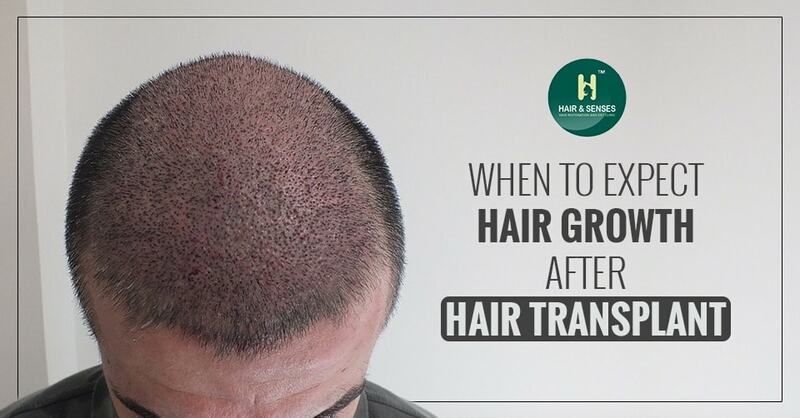 Once the hair transplant is done, the grafts which are extracted and then transplanted into the recipient site suffer some shock which make them move into the resting phase. Due to this shock there is a universal phenomenon of temporary hair shedding after the hair transplant. This shedding varies from patient to patient. It may vary from partial shedding to complete temporary shedding. This phase of shedding generally starts 3-4 weeks after the procedure and can go up to 2-3 months. Taking vitamins or applying minoxidil may help in shedding phase. The growth of the transplanted grafts starts from fourth month onwards. In initial stages the growth may be thin as all the grafts does not start to grow at one time because all hair are not in growth phase at a given time , the distribution of growth cycle is random. Six months onward the hair start to become denser and lengthier and full growth is expected approximately in 12 months.